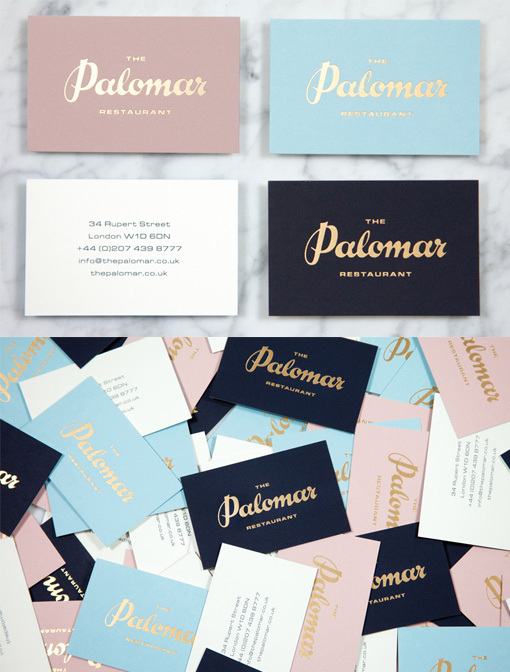 These business cards were designed as part of a branding identity project which aimed to complement the restaurants aesthetics and interior decoration. The logo has the restaurant's name in a beautifully hand-drawn typeface which has been elegantly picked out in gold foil. The cards come in three different colours, two pastel variations and one complementary dark navy card. The overall effect reflects the classic period authenticity and style of the restaurant for which the cards were designed.